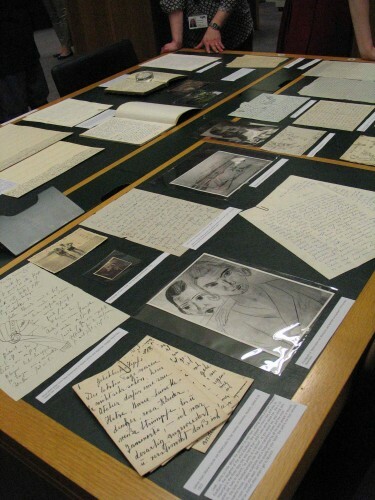 In 2012 the Trustees presented to Tate’s Archive and Library Collections (www.tate.org.uk/research/archive), the artist’s family papers and photographs, and her personal library. Tate’s Archive is the leading repository for material relating to artists associated with the United Kingdom, including those such as Marie-Louise von Motesiczky who came from elsewhere. 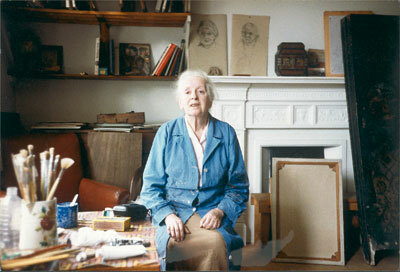 The Marie-Louise von Motesiczky Archive (TGA 20129) is catalogued online (www.tate.org.uk/research/archive/online-archive-catalogue). Around 75% of the materials from the Archive (subject to copyright permissions) have been scanned and from 8 December 2017 the full documents are available online (http://www.tate.org.uk/art/archive/tga-20129/von-motesiczky-the-personal-papers-of-marie-louise-von-motesiczky). The originals may be consulted through the Hyman Kreitman Reading Rooms at Tate Britain. A selection of material from Marie-Louise von Motesiczky’s archive in the Hyman Kreitman Reading Room at Tate Britain. can be found at www.tate.org.uk/research/reading-rooms/register.